In February 2019, a “fresh” coin from Justin Sun broke into the market. 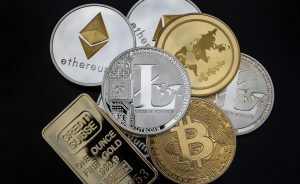 BTT cryptocurrency caused a stir among users. Those who managed to buy it in the first days after the start of sales, earned good money. What will happen to the coin next? Will it become a top cryptoasset? 2.2 Where to Buy BTT Coin? This is one of the most famous file sharing platforms in the world. It was the first torrent tracker (established in 2001 by Bram Cohen). Later BitTorrent Inc. acquired uTorrent, a younger competitor, which began to oust the veteran from the market. The platform has over 1 billion users, surpassing Bitcoin by this number. In summer 2018, BitTorrent Inc. was put up for sale. 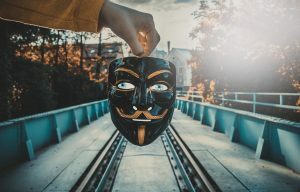 The creator of TRON (TRX) cryptocurrency, Justin Sun, took advantage of this. He said that he became one step closer to presenting users with a true decentralized Internet. The existing BitTorrent peer-to-peer network is now connected to the TRON blockchain. The essence of the work of the torrent has not changed for many years. Files are divided into small parts. After that, they are loaded into a single whole from a variety of sources. Due to this, loading is carried out quickly with a minimum bandwidth. There is no single server for distribution – all downloads are decentralized. Binance Launchpad precisely described the essence of the coin: “Tokenizing the world’s largest decentralized file sharing protocol”. The torrent tracker has received a cryptocurrency created on the Tron platform. BTT coin is the premier representative of the TRC-10 token class. 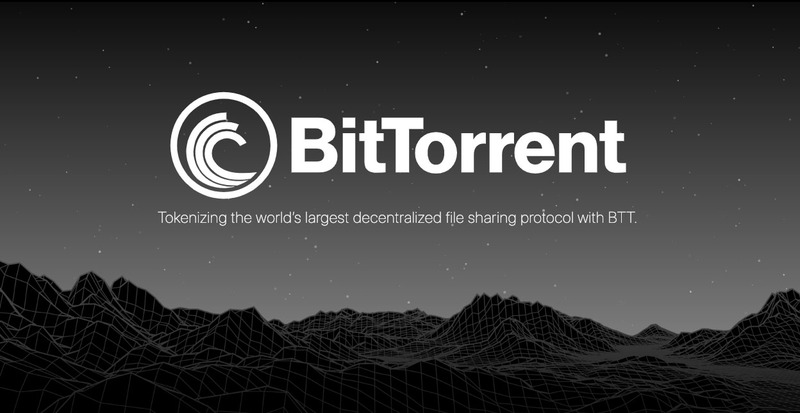 The crypto for the torrent will ensure the effective functioning of the entire BitTorrent ecosystem. Each seeder will be able to get a reward for not deleting the file, placing it in the distribution. In fact, BTT is becoming a user incentive mechanism. This is kinda mining. Implementing an additional set of backward-compatible protocol extensions that allow customers to make and receive “bets” on their bandwidth and make money on it. The coin will be used in various service functions, eg, for the operation of a VPN or CDN. In the future, the token will be used for purchasing content, crowdfunding, and in online broadcasting. Justin Sun and his young team reserves 20% of the total number of tokens; there are 990,000,000,000 of them. The torrent tracker’s team will get slightly less quantity – 19% of the coins. Another 20% will be circulated in the BitTorrent ecosystem. The most important things about the newly appeared coin can be seen in the figure below. The cryptographic asset is used in BitTorrent for paying seeders in torrenting process (for providing decentralized content downloading). In the future, the coin can get more functionality. Its team conducted a survey on how users would like to use the project’s cryptocurrency. Over 1/3 of surveyed twitterers have chosen means of payment for goods and services. Earning virtual money via trivia games (like QuizUp, Trivia Crack Kingdoms, HQ – Trivia & Words, SongPop, Psych!, etc.) hasn’t inspired them. Which use case would you like to use $BTT most for? If you have other opinions not listed here, don't hesitate to comment below! Where to Buy BTT Coin? The cryptocurrency immediately hit dominant exchanges. Naturally, the main platform is Binance. In addition, the coin is traded on UPbit, OKEx, Gate.io, KuCoin. News about new listings are constantly appearing on the project website. Given the grandiose plans of Justin Sun, it stands to reason that not a single high-volume exchange will stand aside from this coin. The project constantly reports about listings on various exchanges and announces new ones. In addition, the community was pleased by the adoption of the coin by CoinPayments platform. Now it can be used outside the torrent tracker. Products and services will also be available if you are a lucky BTT owner. In march 2019, the token was listed on BitMart, anybit.io, Changehero, AltCoinTrader, Cashierest, ChaoEx HK, etc. Recently, the developers posted a survey with a question: “Which use case would you like to use $BTT most for?” Most twitterers chose “buy goods or services”. The integration of the token into uTorrent is planned for Q2 2019. This is a more popular and convenient torrent tracker. This will probably be the main step towards the wide use of the crypto. “The largest blockchain application”, BitTorrent Speed, will be available in the second quarter of 2019. However, interested folks can use their emails to sign up for the project. The project’s team has planned distribution of its tokens. Free cryptocurrency will be distributed every year until 2025. In order to get a coin it is enough to be a TRX hodler at the time of distribution. For each 1 TRX you get 0.11 BTT. Not too generous distribution, but, on the other hand, no one is obliged to just give you money. Moreover, money will be granted every month, and this is almost a sustainable income. February 11, 2019. The first distribution of more than 10 billion coins. It will be performed in 1:0.11 ratio. March 11, 2019 – February 11, 2020. Airdrops on a monthly basis. But the quantity of coins will be significantly smaller and ratios will change. March 11, 2020 – February 11, 2025. The number of free crypto and drop ratios will vary every year. In addition, the company reserves the right to change the stated distribution conditions. 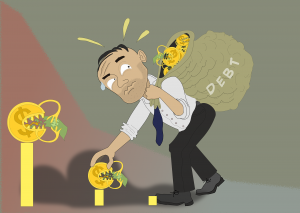 What do you need to get BTT for free? It is enough to have a TRX coin on your wallet or exchange every 11th day of the month at 00-00 UTC. The number of exchanges and exchangers that support airdrop is several times higher than the number of exchanges on which the coin is being traded. These include Binance, Bittrex, HitBTC, Bibox, CoinEx, Bitrue, Koinex India, Changelly, and Coinexmarket. By the way, this is another argument in favor that the crypto will soon appear on dozens of popular and unrenowned exchanges. Opinions about how much this cryptocurrency will cost in the next two years are diametrically opposed. But the fact that the coin makes noise in the market is obvious. The price of the token has almost tripled, after the initial sale. After the passions subsided, BTT price was stabilized at about $0.0008. From it, in our opinion, the market will be repelled in the future. What factors will determine the value of the coin in the future? We don’t divide them into favorable and calamitous. In the case of this coin, any factor has two hypostases that everyone should know. The project received unconditional support from Binance. Changpeng Zhao personally “advertises” the coin. This really means that BitTorrent is not a scam and has a future. But don’t forget that the world is mercantile. The main Binance’s goal is to make money. Nearly 40% of all coin reserves are held by the TRON team and BitTorrent team. This means that they are interested in pumping their “brainchild”. But this situation can also cause price speculations. There is a prospect of mass implementation. 200 million users are no joke. Someone wanna overcome the daddy (Bitcoin)? But as it turned out, so far less than 10 thousand people hold BTT. This is a trifling quantity, especially when considering the fact that not all users will be active market participants. However, with the start of trading, the situation will change. But we advise to periodically visit this Blockchain explorer to be aware of the real development of the coin. Wide choice of exchanges for trading. This is one factor that cannot have a dual meaning. The more exchanges, the more volumes. The easier access, the closer mass adoption. It’s also worth noting that the team has aggressive but well-weighed marketing. It targets those folks who aren’t yet in crypto, not the current (experienced) community. Justin draws sports and showbiz stars to BTT promotion. Some websites report that even Tom Cruise can become a “friend” of the project. We believe that this practice will be fruitful. Seasoned market participants are not particularly interested in these attempts. However, users who are far from crypto will patently pay attention to the updated project. Well, how much will BTT cost in 2019 and 2020? We believe that the cryptocurrency will show growth. The above mentioned skeptical arguments will not be able to stop the popularization of the coin. Nevertheless, one should not overestimate the growth factors. Those who bought Ripple (XRP) at the end of 2017 understand what we are talking about. Infinite growth is impossible. There is every likelihood that the main growth stage for BTT will be February-April 2019. During this period a new market price of the coin will be formed. It can probably be twice as high as the current one. The $0.0016 mark looks realistic. But further growth is unlikely to be very rapid. In our opinion, the new pumping wave will occur in 2020. But it will be determined by general market trends. Some pundits dislike this cryptocurrency, or rather its connection with Tron. Their explanations are as follows: Tron is written in Java, which means that the expansion of the user base may adversely affect the network. This is a debatable statement, but we cannot fail to mention it. In addition, we have repeatedly come across the point of view that torrents as such are less and less interesting to users from developed countries who do not accept pirated content. It is now unknown how the issue of “piracy” (copyright infringement) in BitTorrent will be resolved. In general, in 2020 and later, the price movements will be determined by the marketing constituent of the project. Disclaimer: We do not give investment advice. We provide you with food for thought so that you can make your own conclusions.